The usage of home monitoring systems led to a 44 percent decline in 30-day hospital readmission rates, according to a study published by Medical Care Journal. 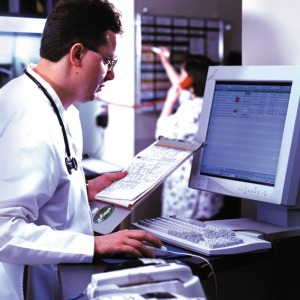 The research focused on the Geisinger Monitoring Program (GMP) interactive voice response protocol, which is a post-hospital discharge telemonitoring system, used as an adjunct to existing case management in a primary care Medicare population. The main objective of GMP is to reduce emergency department visits and hospital re-admissions. The authors said, that while automated home monitoring systems have been used to coordinate care to improve patient outcomes and reduce re-hospitalizations, there is only very little formal study of efficacy. "Investing in automated monitoring systems may reduce hospital re-admission rates among primary care case-managed patients," the authors concluded. "Evidence from this quasi-experimental study demonstrates that the combination of telemonitoring and case management, as compared with case management alone, may significantly reduce re-admissions in a Medicare Advantage population." The researchers used a group of 875 Medicare patients, who were enrolled in the combined case-management and GMP program, to compare their results with 2,420 matched control patients, who were only case managed. Claims data were used to document an acute care admission followed by a re-admission within 30 days in the pre-intervention and post-intervention periods.